Live your life in the present, tackle one thing at a time. I would say once the military is a part of your life its really about the here and now. The only thing that is constant when it comes to the military is change. How do you make sense of military life, if you don’t know anything about the military? Sure, there are books and blogs to read and apps to try, but what are the things you need to know now. Maybe things you can pick up before you learn the do’s and don’ts? You might have just been thrust into this new life yesterday and happen to find this blog. Well, don’t worry a lot of things that will happen to you have already happened to other military spouses. Remember, even veteran military spouses had learn things over time. 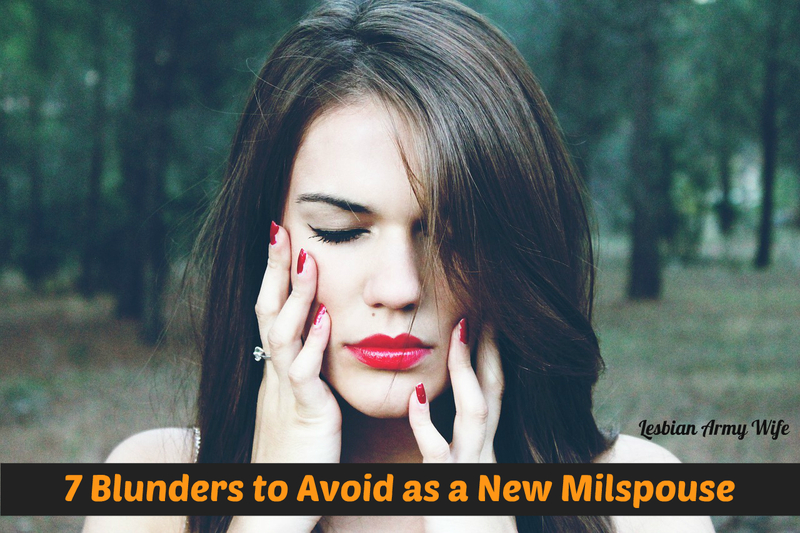 To help you navigate and hopefully skip some awkward or embarrassing moments you might experience I have created my top list of 7 blunders to avoid as a new military spouse. Not knowing that OPSEC is and sharing too much with others. Check out this blog post on how to safe guard your information. Click the picture above to find out more. Familiarize yourself with OPSEC rules and know different ways you can help ensure and protect critical information your spouse might share with you. As a military spouse you wouldn’t want to share possible intelligence online where possible adversaries could use that information to hurt our soldiers. Always be careful what you choose to post online even if you think its private. Don’t “check-in” on social media when you are on base it’s better to keep your location private. Don’t post online about where your spouse is stationed or deployed or when they are coming home. Don’t post your metadata (data about data). This can be any information associated with your photos or status updates like GPS coordinates and when it was created. Check out this blog post on how to address military personnel. Click the picture above to find out more. Just a few weeks ago my wife and I were helping out at a local food bank in our area and an Army solider asked me who I was with I used my wives’ first name instead of her rank and last name. I told my wife what I said later on and she just said “Oh love.” So I figured I do this blog post. Address all personnel with the rank of general as “General (last name)” regardless of the number of stars. Not knowing that planning vacations or activities too far in advanced out will drive you crazy if they can’t happen. Check out this blog post on what hurry and wait really means for military spouses. Click the picture above to find out more. Just because you plan something and pay for it in advance in hopes that something won’t come up is a disaster waiting to happen. Always be prepared for the unexpected and have more than one set of activities or plans for any give idea you have or vacation you want to take. Check out this blog post on military spouse benefits you need to know about. Click the picture above to find out more. As a military spouse there are bountifulness benefits you can utilize everyday. However, it is up to you to research and find out what benefits you qualify for. Whether you need finical assistance, want to apply for scholarships or grants to go back to school, need job assistance in a new area you just moved to you can do it. Check out this blog post from jomygosh.com on how to send care packages. Click the picture above to find out more. Care packages are so fun to make and help you connect with your spouse when the are deployed. There are some things you need to know like how to pack items in a care package, what you can and cannot send and how to mail out care package. Trust me you need to know what forms to fill out at the post office and what things to pack together and what things to not pack together. 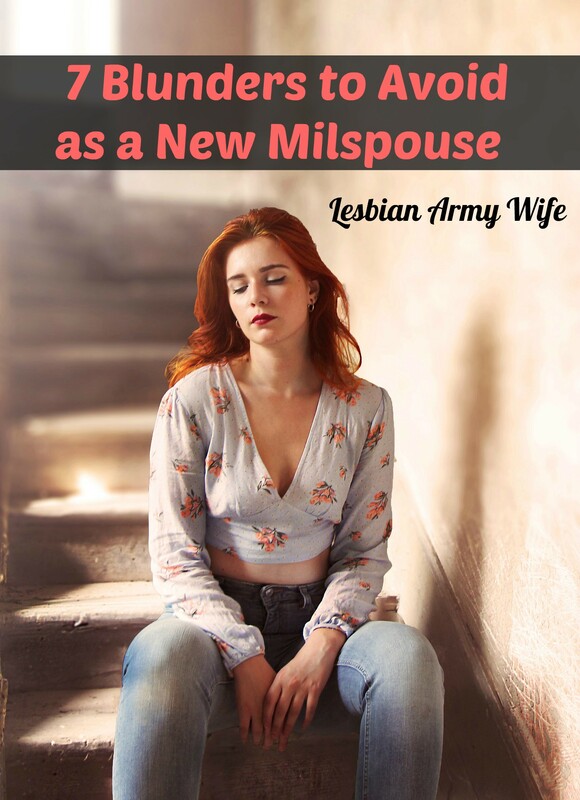 Check out this blog post on how to make new military spouse connections. Click the picture above to find out more. Everyone needs friends and family especially when life changes. Look for online resources like blog posts on topics you want to know more about, support groups on Facebook or forums for military spouses. If you love the gym and want to meet new people try hitting up the facilities on base. Stay in touch with your old friends back home and your family. Its always a good idea to have some you trust who you can vent to and tell all your secrets to. Check out this blog post on how to be happy and stay positive as a military spouse. Click the picture above to find out more. Don’t get caught behind the title of Army Wife just be you. If your spouse is assigned to training or is deployed don’t become depressed. Learn who you are without your spouses around. Your spouse married you because you are amazing and depend on you for support when they are away from home. Always keep you head focused instead of in the clouds. Remember what your goals are and stay focused. Not knowing military customs – not tipping commissary baggers, or knowing to stop driving if the national anthem is play on base. Not remembering you as a military spouse don’t hold any kind of rank – your spouse is in the military not you. Not knowing that when you enter or leave an installation at night with a guarded gate to dim your headlights 50 feet before the gate so as not blind the guard. What are some mistakes you made as a new military spouse? Leave a comment and share your thoughts! Thanks for sharing! I think all of these points are really great. I think the OpSec and self care points are the ones many new military spouses forget or overlook the most. It’s hard to suddenly adjust to not sharing everything online when you’ve been doing it for so long. And as for self care….well I think we can all attest to getting completely caught up in our spouse’s careers and completely forget about ourselves and our needs. I think one other things many new military spouses mess up is not being flexible. This is such an unpredictable lifestyle and if you can’t be flexible and adapt then it’s going to be really tough.